As a college student, textbooks will be one of the most important parts of your life. You will need them for class discussions, doing assignments from your professors and the materials for your assignment definitely will come from the books. Unfortunately, the cost of college textbooks can be very expensive, not to mention that you might need new books every semester. 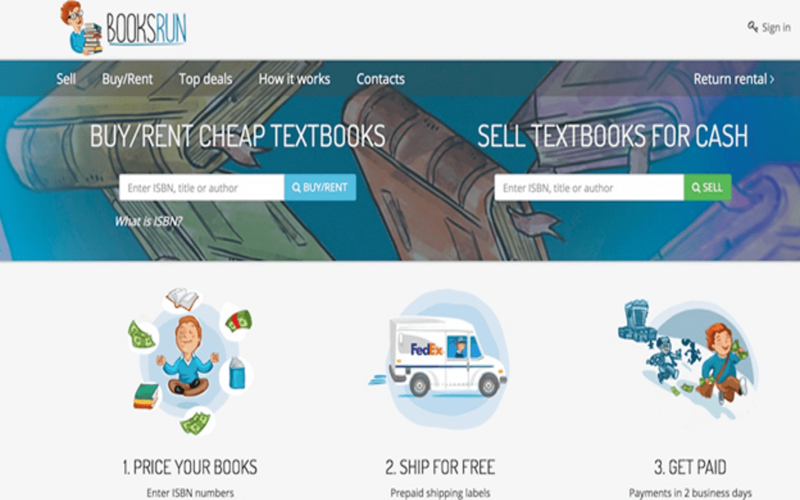 Thankfully, there are many ways you can do to save on textbooks. With these following tips, you can save money without sacrificing your study. When the textbooks buying season comes, make sure to stay away from the bookstore. While it is true that bookstore is the place where you can buy college textbooks you need, the price is usually very high. If you are trying to save money, going to the bookstores will just disappoint you. The reason why you should not buy your textbooks from the bookstores is that the books there are usually new, hence more expensive. The thing about studying is it is not always necessary to purchase new books. As long as the book is still in good condition, you can study conveniently with a second-hand book. Buying second is a great way to save money. You can go online to find second-hand books or you can ask your seniors in the college whether they are selling their old books or not. But when it comes to buying a second-hand book, you must be careful. College textbooks are frequently revised so there is a high chance that you are going to encounter an older edition while your professor is using the latest edition. So, make sure to check the difference between the new and the old edition. Most of the times, there is very little difference between the latest edition textbooks with the older ones. So, using older editions will not negatively affect your study. But if the new editions contain plenty of revisions, then it is best to purchase new for that particular book and skimp on the other books. The library can always be your savior when it comes to college textbooks. You can go to your faculty’s or college’s library or even the public libraries. If you are studying literature or liberal arts, there is a high chance that the public libraries have plenty of stocks of the books that you need. Unfortunately, borrowing books from the library is not always an option if you need the book for the whole semester. When you borrow from the library, you can only keep the books for two weeks. Besides, you also have to move fast because your frugal classmates might want to borrow the same books from the library. If you cannot get the books you need from the library, worry not. Nowadays, there are many book rental services where you can keep the books with you for the whole semester. You will need to pay some rental fee, but at least it is not going to be as expensive as purchasing a new textbook. Furthermore, it is also more flexible compared to borrowing the books from the library. When a semester ends, you will need some new textbooks. But at the same time, you will also have plenty of books that you are not going to use anymore. To get some money for your new textbooks, why don’t you just sell your old books? You can sell your books online, or you can find some juniors who will need to purchase second-hand books. But if you plan to resell your books, there is one important thing you need to know. You should keep the books in the best condition as possible. Do not write or highlight the textbooks and make sure to refrain from dog-earring the books. If you can keep the books in a good condition, you will be able to sell them at a higher price. To save even more money, you also have the option to share the books with your friends. It is not the most ideal condition, but if your budget is tight, sharing the books with your friends can be a very good idea. If you are considering sharing the books with your friends, don’t share the book with someone who has the same schedule with you. Instead, find someone who takes the same class but in a different time. Furthermore, make sure to take notes as much as possible when the book is in your hand so you still can study even when it is not your turn to keep the book.